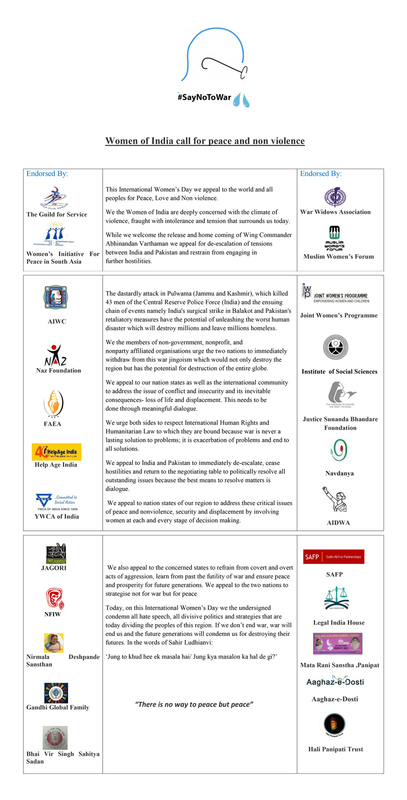 We do solemnly pledge our commitment to the universal ideals of human dignity, freedom, equality and solidarity . 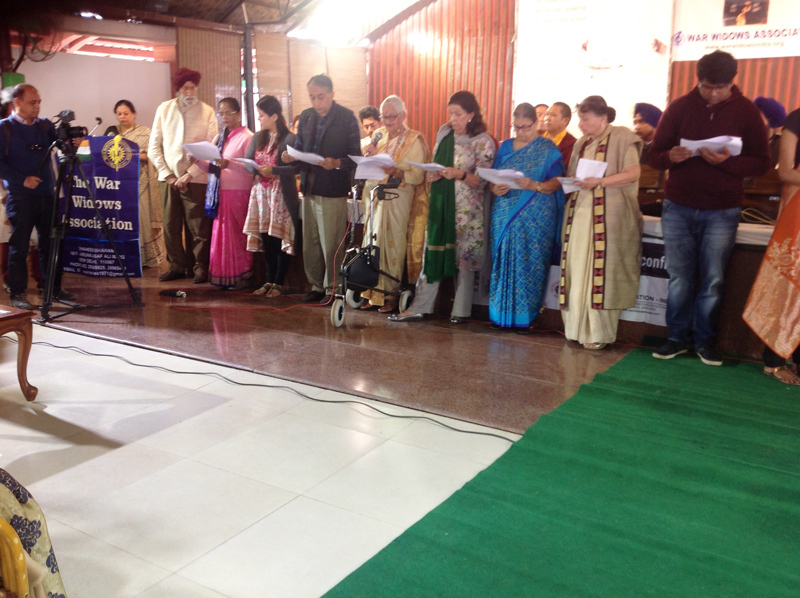 As we firmly pledge that we will work towards peace in the family, society community, nation region and the world through our thought word and action. I commit myself to the Gandhian ideal of non violence will work towards a culture of peace based on the principles of the centrality and dignity of every individual. I will strive to be inclusive in my approach, accommodating in my speech and committed in my actions towards peace and non violence. 1. 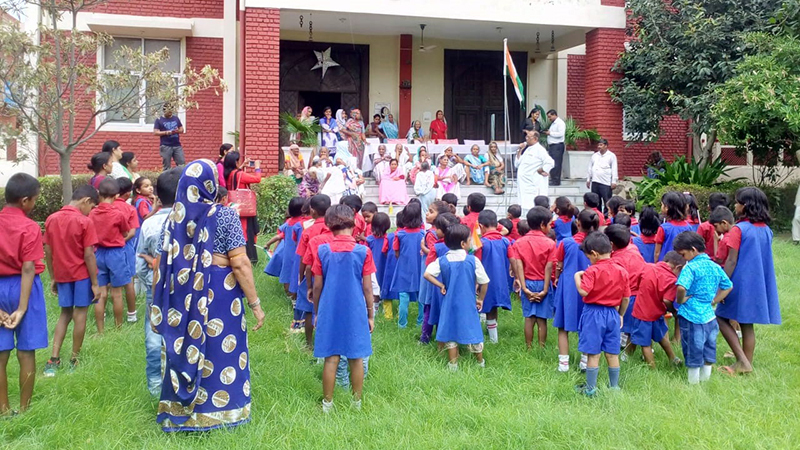 As you are aware, the Guild has been running successfully the Sannidhi Primary School in Najafgarh since the last two years. From a humble 40 students we have enrolled 128 students upto Class 3. This has been achieved due to the incredibly supportive members and committed staff. We are very appreciative of the time that you give to the Guild. 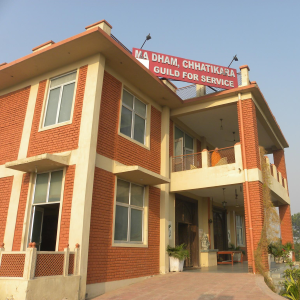 The school in now being shifted to a bigger and more child friendly premises. To invoke the most positive energies for the school, the Guild would like to conduct a small havan on 3rd of November 20181 at 11.30 am at Sannidhi School, Shyam Vihar, Dinpur village, Najafgarh, New Delhi ( Near Max Garden) The havan will be conducted in the presence of the Chairperson, Dr Giri, who will grace the event to bless the school. 2. The Guild has been working on the capacity building of the marginalized women from its very inception. 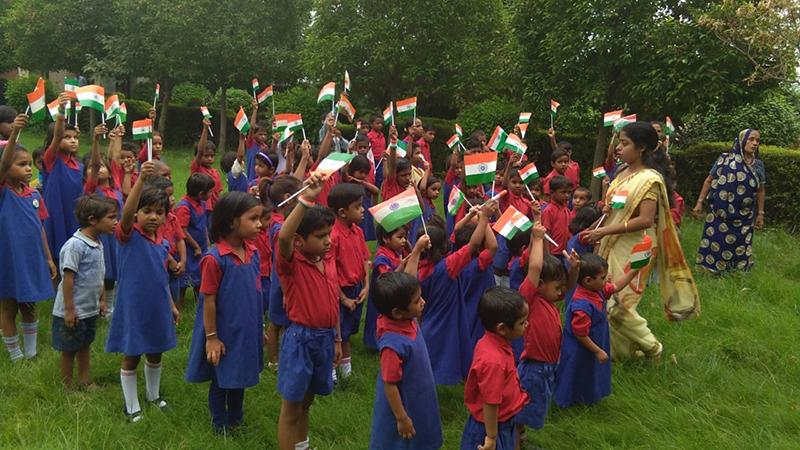 We have been involved in various welfare activities in order to act as a catalyst of social change. 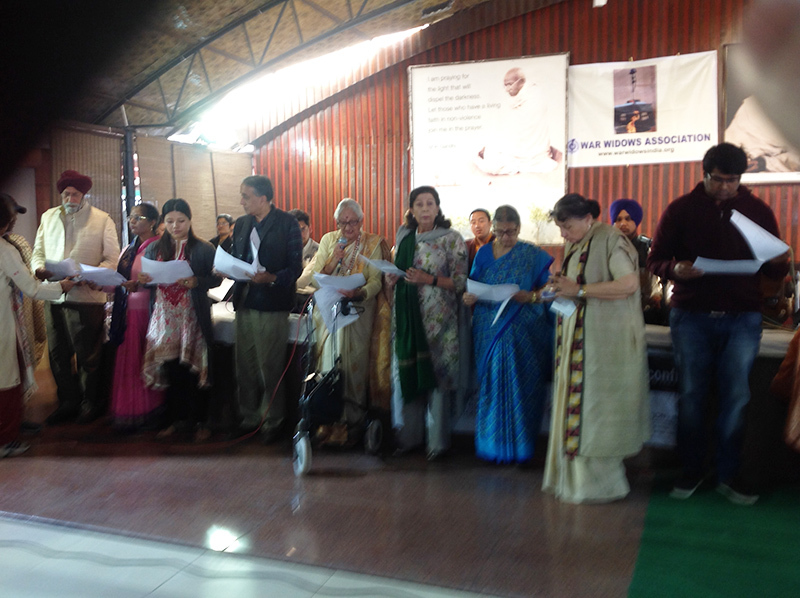 Group marriage has been one of them which Guild has been conducting for past forty years. These group marriages are facilitated by the Guild for those belonging to the low economic background. We shall be organizing Group Marriage Ceremony for 15couples on 18 th November - 2018 on Sunday at 3:00 pm at Guild for Service, C-25, Qutub Institutional Area, New Delhi-110016. Greetings from the Guild of Service! The guild is privileged to invite you for the following events. Please do join us. Venue : 18 Eastern Avenue, Maharani Bagh-110065. 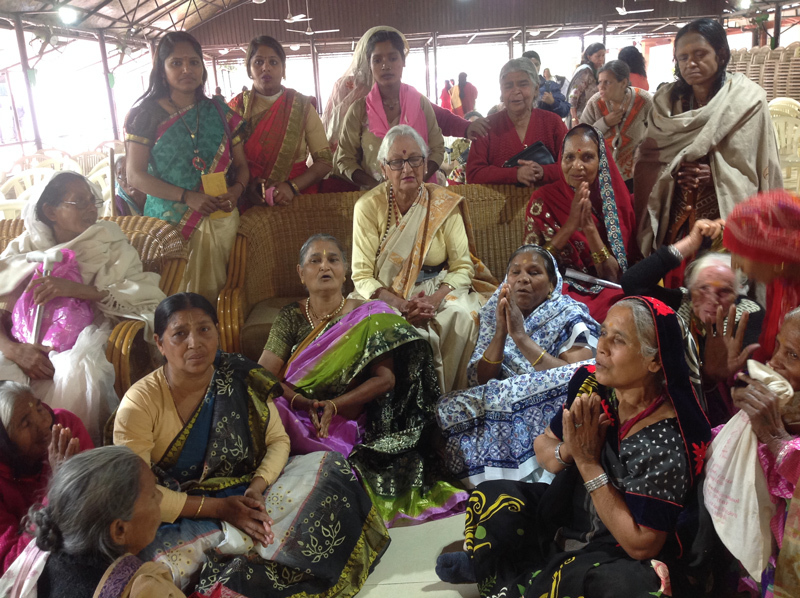 Women of India are the primary producers and transformers and processors of diverse, nutritious and healthy foods. 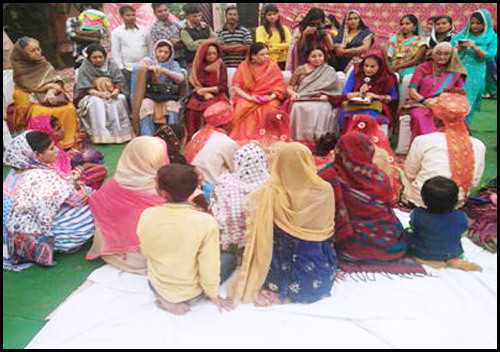 Mahila Anna Swaraj, a network of women food producers and processors. Venue : Gandhi Smriti, New Delhi. We are privileged to bring together a confluence of "Bhaktirass & Bhakti Gyan" on the occasion of Janamashtami. The renowned & Vaishnava scholar Shri. Srivats Goswami ji will speak on this to help us bring Krishna into our lives. And a very famous Thumari singer Ms. Kumud Diwan & famous Sufi singer Ms. Rene Singh will also give us a rendering in their sweet voice on this occasion. 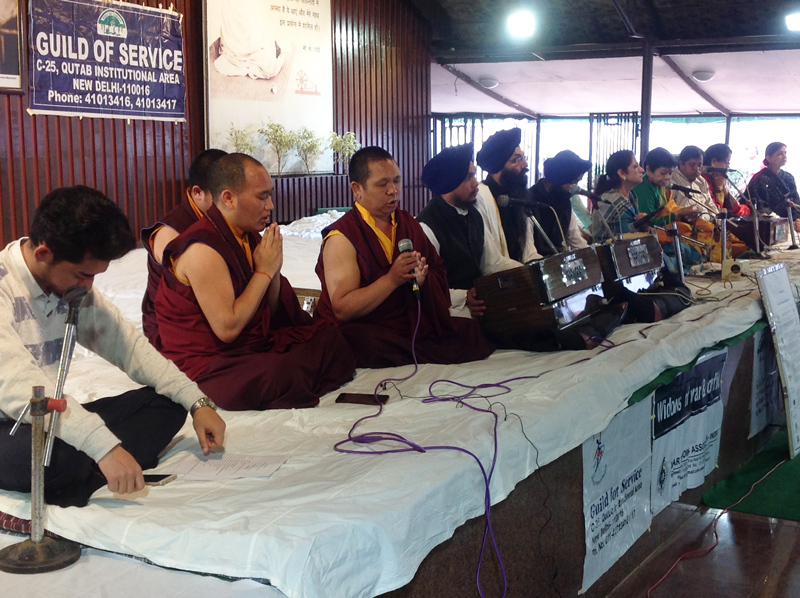 Venue : Chinmaya mission auditorium 89, Lodhi Road, New Delhi-110003. Looking forward to your presence, support & inspiration. Without you we cannot exist, your investment is our encouragement. Greetings from the Guild of Service. The Guild as you know is one of the few organisations combining grass root work with advocacy both nationally and internationally. Every year on the occasion of International Women Day. The Guild focuses on issues regarding the advancement of women. On the 7th of March 2018, synchronizing with the International Women Day, the Guild as every year, is organizing in partnership with UNIC (United Nations Information Centre), an interactive dialogue focusing on: Gender Equality for Gender mainstreaming: Lived experiences in corporate & political careers. You will agree that the corporate world and the political world are two areas where the gender balance is still only a vision. 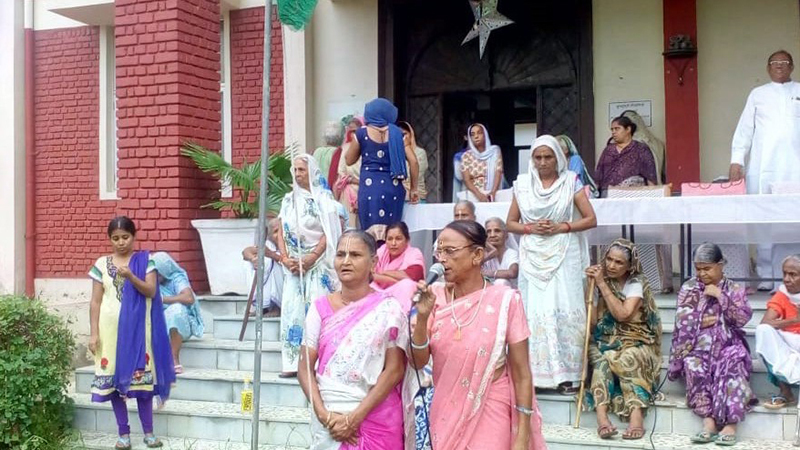 Despite the capabilities, capacities and talents, women still are under represented both in the Parliament and in the Legislative Assemblies, despite the one million elected women at the grass roots. It is changing certainly, but not as swiftly as the women would want it to. The Journey from the Gram Sabha must lead to the Lok Sabha. In the corporate world women still hit the glass ceiling. On behalf of the Guild I am delighted to invite you to participate in an interactive dialogue with women who have succeeded in the corporate and the political world, share their lived experiences on the career path, focusing both on the struggles, the success, and the gap between the aspiration and the reality ( if any) and of course the way ahead. The audience comprising of activists, lawyers, academicians, journalists and students would like to take away the perspectives of a success story. On Thursday the 8th March 2018 at 10: 30 a.m. 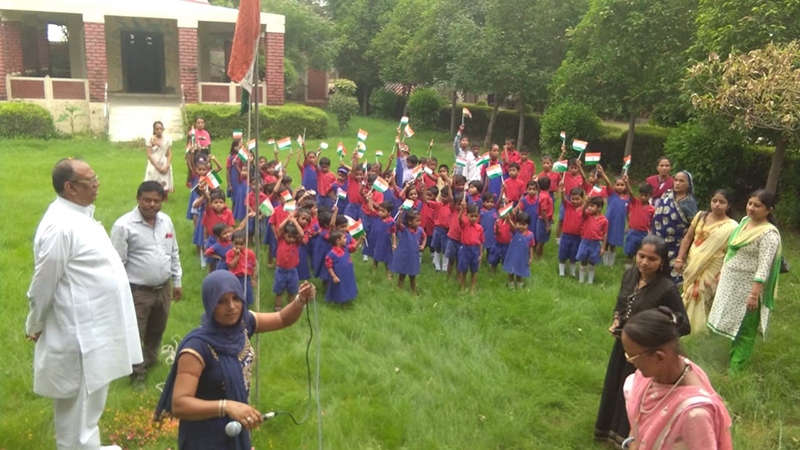 Independence day was celebrated on 14TH August 2018 at all Sannidhi Primary Schools. 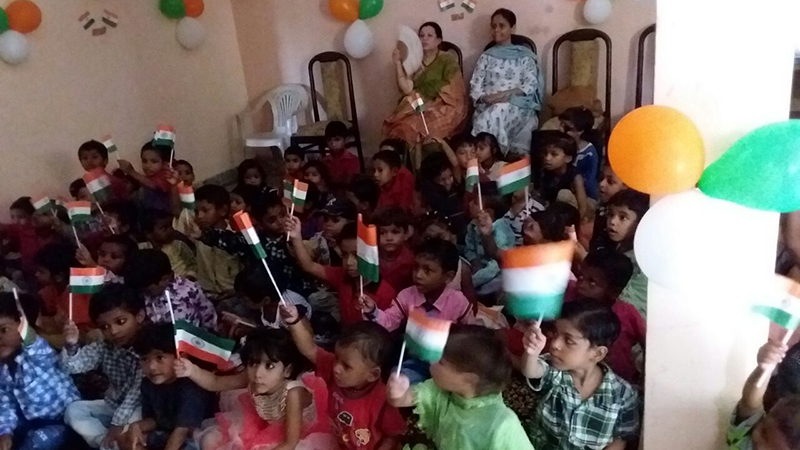 Our freedom was celebrated with great enthusiasm with children's participation. 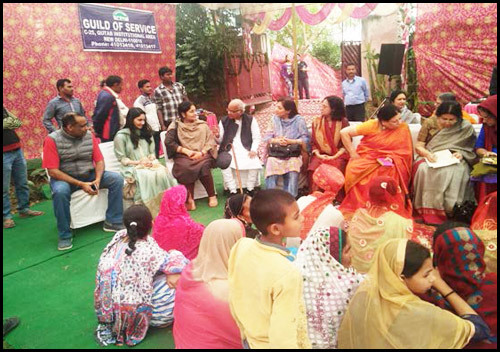 Since 46 years of its existence-initiated by Guild for Service has been conducting group marriages. These expense-free marriages abolish the practice of dowry, promote inter-caste and inter-community marriages and widow remarriage. It is through such endeavors that the Guild for Service seeks to function as a catalyst for change in society. A woman officiated as the priest to conduct the the Nikha of two Muslim couples. To avoid pollution the traditional Agni Vidhi was performed using anti pollutant Puja Samahgri. 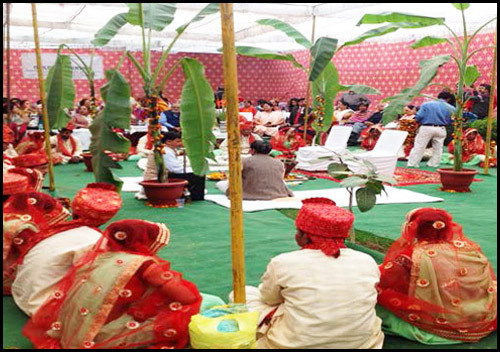 All the widow remarriage, inter caste and inter community marriages were performed in the day time so that electricity is not wasted. The dowry system is completely eliminated in the group marriages. Family Planning Association gave awareness lecture and distributed condoms . 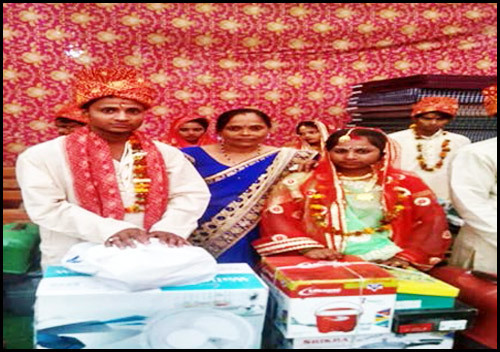 The marriages were sponsored by Lions Club New Delhi, Bengali Market and Ganges International Pvt Ltd The couples were given essential items and the wedding attire to start their life. 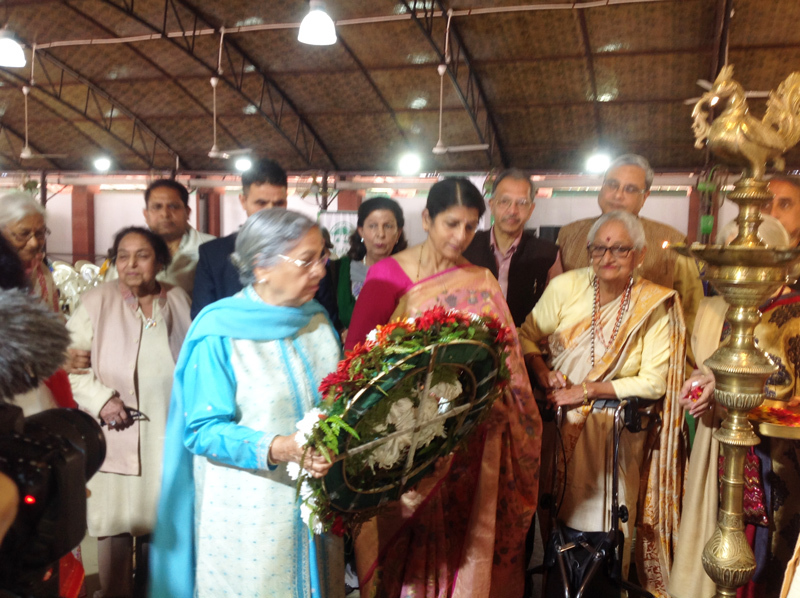 This year the National Commission for Women (NCW) is twenty-five years old and has matured into a significant entity, ready for an even more meaningful role in the lives of the Indian women. The Guild in partnership with UN Women and the India International Centre organized a brain storming session on the role of the Commission. The time was opportune and right to retrospect on the manifold successes of the Commission and the perceived gap between aspirations and implementation. In the course of the discussion many dimensions of the commission's role were explored in an effort to review, reinvent and rejuvenate it. 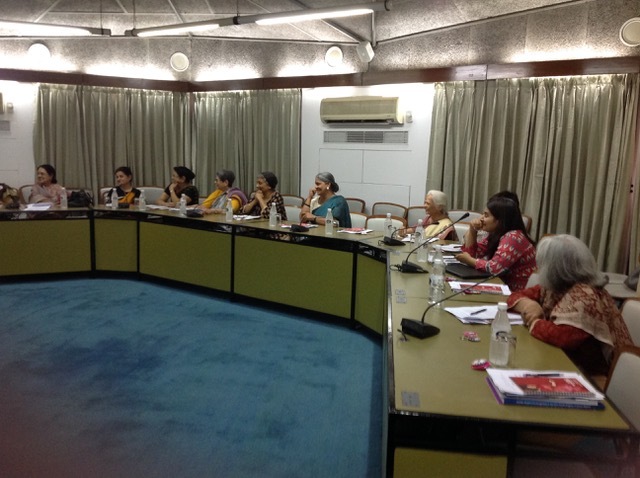 The session was enriched by the views of three Ex Chairs of the Commission: Dr Mohini Giri, Dr Poornima Advani and Ms Girija Vyas. The present Chairperson Ms Laitha Kumaramanglam despite being unwell joined through Skype. 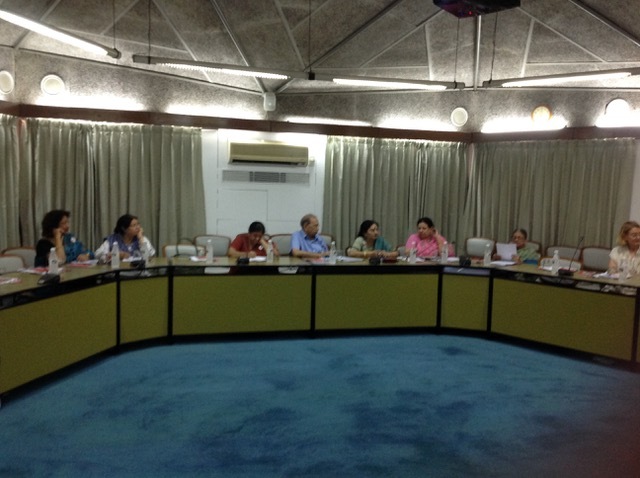 The discussions were enlightening as Dr Syeda Hameed former Member Planning Commission and NCW, Ms. Rebecca Tavares from UN Women, Ms Padma Seth, Shamina Shafique, former members of NCW, Ms. Zohra Chatterjee, Ms Beenu Sen, former Member Secretaries NCW, Ms Sujaya Krishnan former Joint Secretary Family Health and Welfare, Ms .Firoza Mehrotra, gender specialist UNFPA, Mr Sudhir Verma, former Secretary, WCD Rajasthan and a host of eminent social activists put forth their views and experiences. 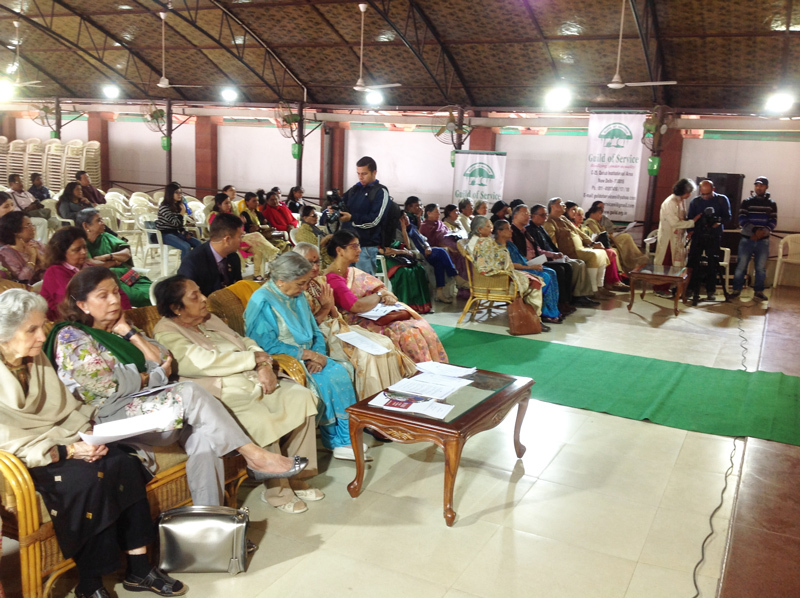 The floor agreed that NCW was a vital and essential body for the protection of women's rights and there was a need to give it legislative and institutional strength as well as political and financial autonomy. The NCW should be at par in status with NHRC, National Commission for Minorities and National Commission for SC/ST. Despite being a statutory body it has become an instrument for looking into cases of violence against women, with limited powers over the police and magistrates, and a counseling center. The NCW Act has inherent weaknesses in that it it is vague and and does not give specific powers for implementation of the mandate. Nor does it give any directive to state governments to constitute a State Commission for Women. 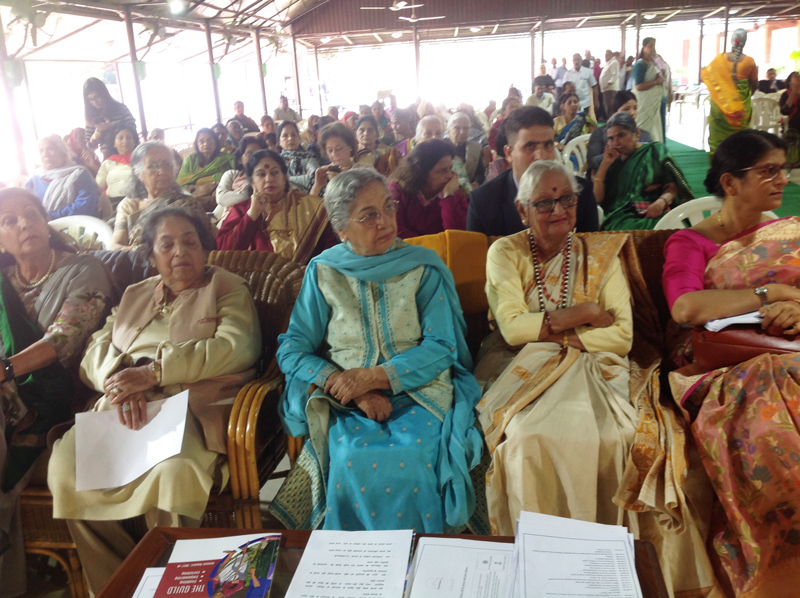 The need to define women's rights, to strengthen the letter of the law and to legislate the strength of the NCW by vesting it with punitive powers on the lines of other Commissions/ Tribunals was felt. 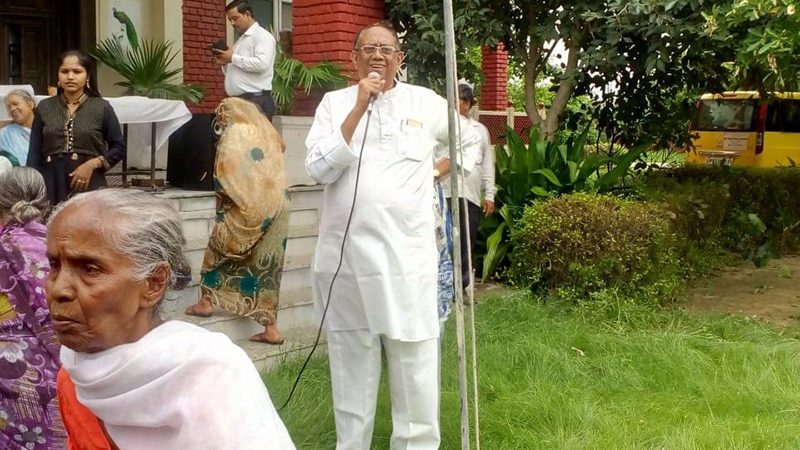 In the course of brainstorming it emerged that Parliament did not spend adequate time on women's issues and reports submitted by the NCW were not taken into cognizance. The Act mandates an action taken report, however there is no mechanism to ensure that recommendations are taken up and discussed within an appropriate time frame. Further , even though the NCW is an autonomous body, yet the Ministry of Women & Child Development, by virtue of its administrative and financial powers subordinates NCW in terms of its dependence on the government for staff requirements and financial grants. Time spent in convincing bureaucrats on the need and efficacy of programs and interventions is far too much, thus hampering the efficacy and performance of the commission. It was felt that directt budgetary allocation from the Finance Ministry was a must to maintain the autonomy. Since a major chunk of the Commission's work is the cases of human right violations and contravention of the law, and these are are largely due to the prevalent social mindset; it was suggested that the cases themselves can be a catalyst for review of policies/programs and laws. It is vital for the Commission to tap the reservoir of knowledge and expertise through expert committees. There should be a Coordination Committee under the Chairperson with representatives from various Ministries MWCD, HRD, Home Rural Development, Poverty Alleviation, Health and Family Planning, Land resources etc which may meet quarterly. It should be responsible for implementing the decisions of the Commission. The attendees expressed their dissatisfaction with the natures of the selection of the members of the Commission and its Secretary. The Secretary especially should be one who was committed to the cause and was one who could facilitate the work of Commission with governmental agencies. They suggested there be more transparency and inclusiveness from all political parties, activists and experts from different fields and various states. Long term: Review and amend the Act.